Isla Alejandro Selkirk—named after the infamous 18th Century castaway—lies 875 kilometers from the Chilean city of Valparaíso. The island is one of three islands in the Juan Fernández Archipelago, a cluster of islands which is 61 times richer in endemic plant species per square kilometer and 13 times greater in endemic bird richness than the Galápagos. 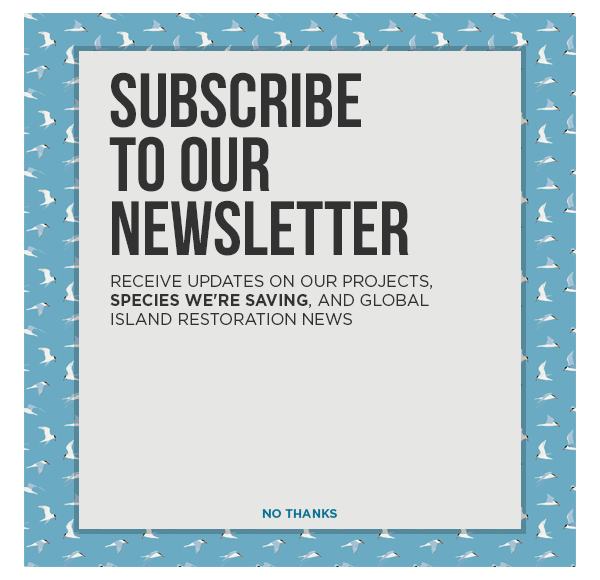 The International Union for Conservation of Nature, Birdlife International, the Alliance for Zero Extinction, and the World Wildlife Fund highlight the Juan Fernández Archipelago as one of the most ecologically vulnerable ecosystems in the world. During the austral summer months, the island of Alejandro Selkirk is home to a community of 50 lobster fishermen and their families. Year-round, it is home to a number of rare and endangered plant and animal species. One of those iconic species—the Masafuera Rayadito—is found only on Selkirk; its global population numbers in the low hundreds and is of particular interest to researchers and those looking to prevent species extinctions. The video below is from two expeditions to Selkirk Island led by Island Conservation and Oikonos in 2013 and 2014. You’ll see some gorgeous cameos of the adult rayaditos who raised a number of young over the past breeding season. Island Conservation is partnering with CONAF (Chile’s Protected Areas and Forests agency), Oikonos Ecosystem Knowledge, the Municipality of Juan Fernández, the Chilean Environment Ministry, local NGOs, community leaders, and scientists to advance ecological restoration of this unique island and all of the archipelago. Join us as we get to know the special plants and animals of this spectacular island ecosystem!